When you meet David Eng, The first thing you notice is that he is one snappy dresser. He stays sharp with a well pressed shirt, a fitted vest and pants and a linen brimmed hat that rivals Neal Caffrey’s dapper style. David was paying attention when he was growing up at his father’s store, Eng’s Modell, launched in Seattle in the early 60’s. David has a rich history – his mother and father were both very successful immigrants to the U.S, back in the days when you needed a sponsor to enter the “land of the free”. The elder Mr. Eng, was sponsored by a friend of the family and came from coastal China, entering the US through San Francisco. He started business in Seattle with just a small store specializing in men’s precisely fitted suits and made a name for himself, slowly expanding in downtown. A shrewd and talented businessman, the senior Mr. Eng optimized his business by utilizing the contacts he had made earlier in China to build a thriving clothiers business. Meeting David’s mother during that same time was fortunate. David’s mom was born in Hamburg, Germany, and was sponsored into the US by her brother and for a time, lived in the midwest. She was talented and driven just like David’s dad. Her skill with the early super computers put her in a leadership position – the only female to do so during that time. Even though there was a definite language difference between mom and dad, they hit it off right away. Their similar desires to succeed in America, along with some very good chemistry, sealed their union. By the time David came along, mom and dad were successful. They had the means to indulge David and his brother in their talents in addition to providing excellent education . Mom and dad discovered early David’s abilities with music, first through the accordion. They hired him the very best teacher they could find. That just happened to be the current world champion accordionist, a Mr. Spano, of Italy, who also taught the first American to beat the Russians in world accordion competition. David was also taught on piano, violin and guitar, and though the accordion brought him to National competitions and an interview with Lawrence Welk’s lead music man, Myron Florens, his real love was with the guitar. Once David’s dad retired, they moved to Sequim where David also went to High School. As life gathered speed, David found himself serving in the Army. He passed up the opportunity which his mom favored, to play in the Army band, seeing that tract as, well, kinda boring. Instead he enlisted as a regular soldier, became a supply clerk and a “gun bunny”, picking up many skills that eventually led to a fluke transfer. As the only man in the unit that could type, he was transferred to driving and being the personal assistant to the Unit Commander which offered many unexpected perks. College money from the army had no real appeal to David – at heart he has always been an artist. So he took the cash option upon discharge and hit the road, heading to California’s Sunset strip in the shadow of Universal studios with his guitar in hand. Along the way David picked up some really valuable construction skills—he could do intricate dry-walling (sometimes upside-down on a three story high ladder, doing coved ceilings in mansions) which gave him the means to do what he really wanted to do – travel! David took his electric and acoustical guitars with him to Los Angeles, San Francisco, New Orleans, Nashville and Austin as well as other places that dot the map of the U.S. The work with drywall was hard on his body and it wasn’t uncommon for David to have to ice down his arms and shoulders in order to play. He was intent on learning new skills, musical styles, and meeting new bands that he could play with, and traveling suited his easy going style. 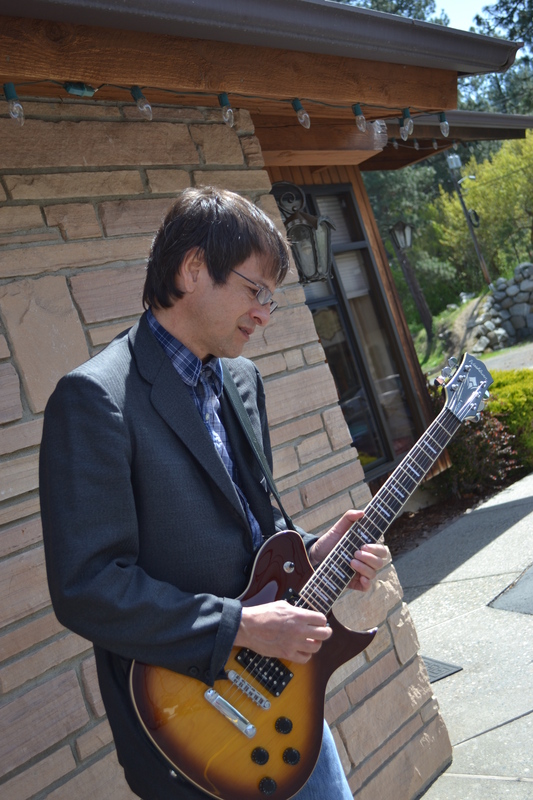 On his musical journey David found himself in the ever popular Volkswagen Vannoagan, exploring the U.S. – the Yosemite back country, Joshuah Tree National Forest, Smith Rock, and in the local mountains as a Washington state EMT for the Ski Patrol. This long music and work journey brought David back home – though initially only as a place to find the next great opportunity. David fulfills his creative side these days with open mic nights and in developing his own sound studio, creating recordings of his own music, track by track. Though David is slowed down just a little by MS, you would never know it. He gets around to all of the musical events he can find whether picking into an electrical blues jams, revisiting Austin’s Antone’s (well known by all musical artists), various music festivals or popping into coffee shops and open mics he can find in the area. I asked David what his goals were as a young guy and as a developed artist; not surprisingly he answered “to be taken seriously – anything can happen and I would love to be picked up by somebody who could incorporate me into their band”. David is no stranger to bands – he played them in his early teens with “The European Connection”, “Momma Knows Best”, and clubbing alongside popular drummers and bassists in the area. Lately he visits events in Sequim, Port Townsend, Bremerton and “beyond”. Anywhere that he can find an opportunity, David, his guitars and his reliable Volkwagen Bug will be found. 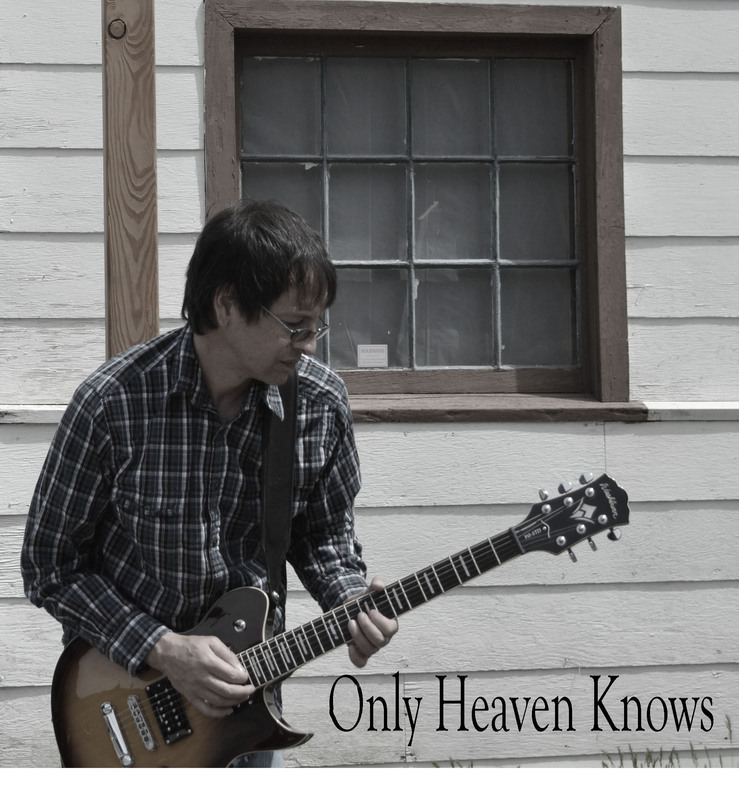 If you want to hear a sample of David’s music, you can find his original score on iTunes, called “Only Heaven Knows”. This track was completely designed by him from the original score, laying down all of the tracks and vocals, and in producing the final CD. If you want to meet David, your best bet is to show up at “Nourish” in Sequim any Thursday night. You’ll be glad you did. David is cheerful, fun and always has a story to tell. Look for the snappiest dresser in the room, and you’ll know you have found David Eng. Making New Friends is what it’s all about. 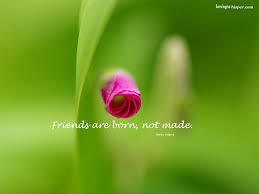 They say to make good friends you have to be one, so this year I am trying extra hard to fill my quiver with new friends and if I’m lucky, more “BFF’s”. Friends make life sweeter, struggles easier, adventures a lot more fun. Fulfilling your dreams is even more satisfying when you have someone to share your successes with. So, in 2014 I am shoring up foundations with my already good friends, trying to make sure they know I value each one of them, while finding out more about the people that fill this lovely state. Part of friendship is listening while paying attention when someone needs you. Part of any new friendship requires spending time getting to know someone who you might pass by when you are too busy or too afraid to invest the time. On Sundays I meet, smile and chat with roughly 50 ladies that I’d really like to get to know better. Everyone has transplanted here from somewhere else it seems, and everyone has a story to tell. Luckily our church encourages “getting us ladies together”, so I am more likely to meet new friends IF I really try. A word about Oral Histories, from an Expert — Barbara Truesdell, PhD. Thanks for this post goes to Roderick, who, having studied Anthropology as his major course of study, has taken a keen interest in making sure I am aptly trained! Thanks Hon! 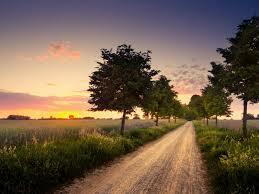 Im sure this road Im on will prove to be just as fascinating to me as it has been to you over the years. Our Motto in my grandfather’s native tongue, Gaelic, is the greeting “Tá athas orm buaileadh leat” — or “pleased to meet you”. I imagine when spoken well, “Tá athas orm buaileadh leat“ can be a real attention getter. I can envision getting responses like “Whats that you said?”, or “What language is that?”, or “I dont understand Spanish, sorry!” — all of which can be excellent ice breakers. It is hard to meet new people, especially strangers, when you rise to the great height of 4 foot 11. I tend to blend in most places, well, except for my astonishingly ugly glasses which can get me at least a double take now and then. So hopefully you’ll wish me ” Go n-éirí an t-ádh leat! “, because being at least partly Irish, I’m surely going to need it! Welcome to Washington Story Trekker! Alas, the New Year dawned and unlike so many other years where I swore off making resolutions, this year I was determined to do something different to occupy my time other than fritter it away on Social Media sites. Writing is not new to me, I have done it for many years in many different capacities; student, teacher, marketer, advertiser, statistician and yes, even journalist. I am drawing my inspiration from several sources: a need to fill my cup with new friends, a desire to tell stories about the folks who live in my lovely state no matter where they originate from, and hankering to get myself outside and do something fulfilling. I hope that this adventure that I am taking will be pleasing enough to have others visit, read and participate in the conversation. I anticipate hearing the stories that need to be told. We are not a nation of story-tellers, meaning that we do not pass down our oral histories and many of us do not keep diaries or journals, and even less of us share the journal material we do have with others. I look forward to this journey and I hope you do too. Fool in the Kitchen’s Sees Fudge Recipe.